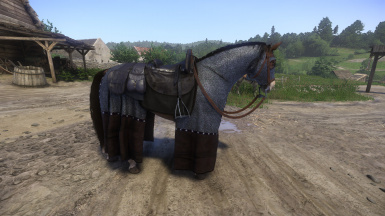 Adds three sets of barding for your trusty steed. 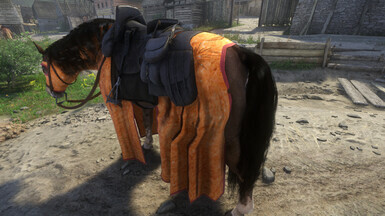 A full DLC sized mod! Well, according to Todd Howard anyway. 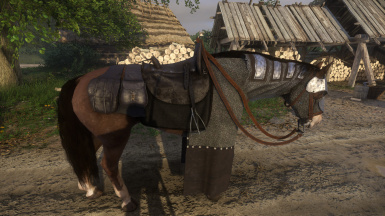 This adds three sets of armored barding for your mount; mail, leather, and half-mail. 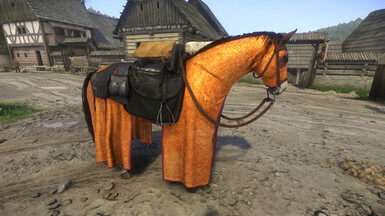 They replace three of the horse caparisons in game and can be purchased from the armorer in Sassau. After installing you must wait until the merchants reset before they become available. 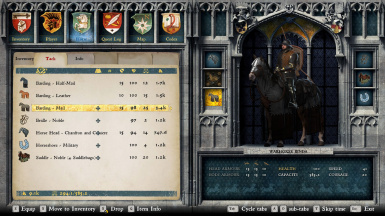 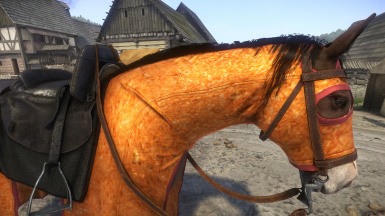 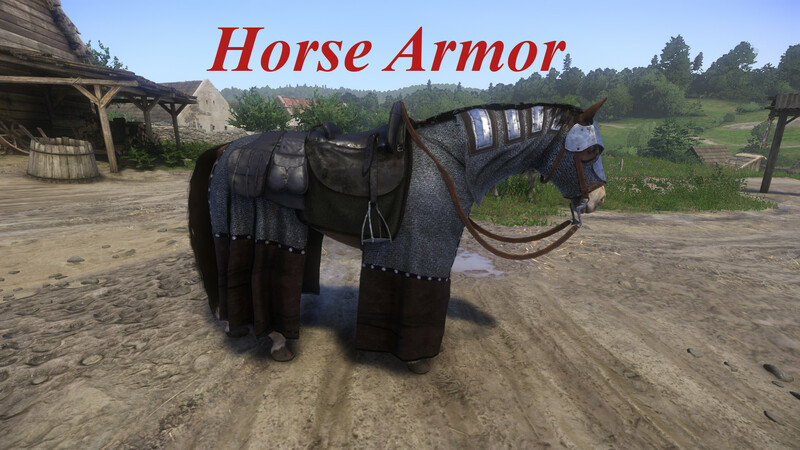 Horse armors now have custom icons and are properly named on inventory screens. 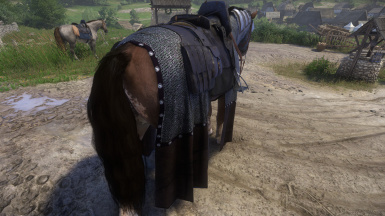 After installing you will have to wait until the shops reset for the armor to become available. 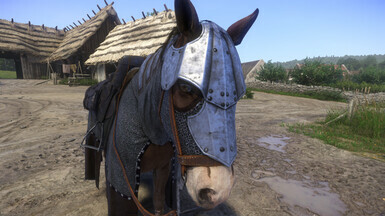 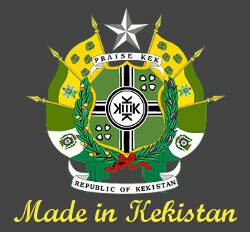 This mod is included in Blood and Iron Overhaul which can be found HERE.